Halogen Bulbs – How it is made ? 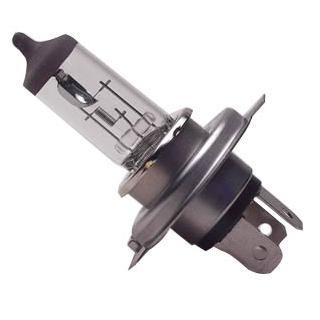 Halogen bulbs are used in everything from cars to residual lighting, and are similar to ordinary light bulbs. A glass material encases a chamber in which a gas resides, such as argon or nitrogen. At the center is a tungsten filament that burns white hot when it completes an electrical circuit, causing it to emit light. Along with the light, the bulb generates a large amount of heat as well. Halogen lights are different from normal bulbs because the filament is encased in a smaller space, made of quartz instead of glass, since glass would melt due to the extreme heat involved. The gases, instead of being nitrogen or argon, are of the halogen variety. The pure white light halogens emit makes them ideal for certain fixtures and situations. For reading and other exacting tasks, the bright light reduces eyestrain. For display lighting, where you want to highlight artwork, photos, crystal or architectural features, the white focused light makes colors appear more vibrant. Halogen spotlights allow pinpoint focus. Using standard bulbs for general lighting in the same room heightens the effect of halogens even more. For outdoor use, halogen floodlights cast a brighter, easier-to-see-by light. And since they last twice as long as standard bulbs, you won’t need to struggle to reach hard-to-access outdoor fixtures as often. They have other benefits too. They’re 10 to 20 percent more energy efficient and cheaper to operate. They burn brighter longer (a halogen bulb will still be cranking out 94 percent of its original light output near the end of its life, while a standard bulb diminishes to a measly 82 percent). Of course, not everyone or every place loves halogen. They cost at least four times as much and don’t give off that warm glow of a standard bulb we’re accustomed to. And they have an intense glare; they need to be shaded, shielded or directed so the filament isn’t in your line of sight. Halogen bulbs burn hotter than standard incandescent’s, so care must be taken in their use. It’s possible for the protective outer shell to break and for the inner bulb to continue working (though the outer shells are incredibly durable). This can pose a hazard, as the hot inner bulb can explode if moisture hits it.